The parents of a construction worker who was killed in a New York City crane accident have settled their wrongful death lawsuit for $1 million. According to the Boston Globe, the insurance company, Liberty Mutual, agreed to settle the wrongful death suit that was filed by the 30-year-old’s parents, Colleen and Michael Simermeyer. The company in question, Yonkers Contracting, was handed 10 violations and was charged with close to $70,000 in fines because of the accident. According to Daily News, the young worker was crushed when a huge tractor crane collapsed at the Metropolitan Transportation Authority’s No. 7 subway extension project in Manhattan back in April 2012. Our Boston workers’ compensation lawyers understand that investigating officials noticed that the cable holding the 160-boom was frayed before it snapped and took the life of the young worker. Investigators have determined that this accident could have been prevented if the company had taken the proper safety procedures beforehand. However, Yonkers Contracting is contesting the findings. According to the Occupational Safety and Health Administration (OSHA), there are close to 300,000 crane operators are at a risk for serious and oftentimes fatal accidents when using cranes, hoists, derricks and other similar machinery in the U.S. each and every day. 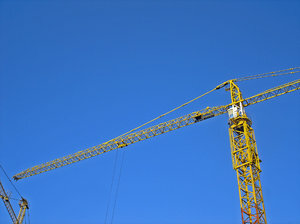 It has been calculated that there are close to 150,000 cranes that are in operation today in the construction industry, as well as another 100,000 that are used in general and maritime industries. There are significant safety issues to be considered, both for the operators of the diverse “lifting” devices, and for workers in proximity to them. Fatalities and serious injuries can occur if cranes are not inspected and are not used properly. Many deaths can happen when the crane boom, load line or load contacts power lines and shorts electricity to ground. Other accidents can happen when workers are struck by the load, are caught inside the swing radius or fail to assemble/ disassemble the crane properly. -Cranes should always be used and operated by a qualified and/or trained worker. -Cranes should be inspected before each and every use. -Always make sure that the crane is on a sturdy surface. -Make sure that the carried load does not exceed recommended weight maximums. -Be on the lookout for any electrical power lines in the area. -Never move loads over workers. -Make sure that you’re always following signals and manufacturer instructions while using a crane. It is critical that all workers are properly trained and educated to be using this massive machinery. When an employee assigned to operate machinery does not have the required knowledge or ability to operate the equipment safely, the employer must train that employee prior to operating the equipment and ensure that each operator is evaluated to confirm that he/she understands the information provided in the training.